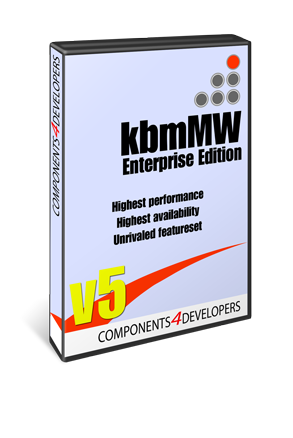 kbmMW Pro/Ent v. 5.05.10 and kbmMemTable Std/Pro v. 7.78.10 released! 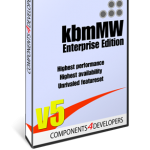 This is priarely a bugfix release, but it also includes a new ISAPI REST server side transport making it possible to host kbmMW based REST servers within Microsoft Internet Information Server’s. 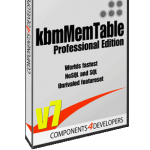 Notice that kbmMemTable v. 7.78.10 is a prerequite for installing this version of kbmMW. - Fixed ORM kbmMW_Field ignores name. - FireDAC adapter improvement. Added UseOpenOrExecuteOnExecute. Downloads readily available for users with up-to-date SAU from our portal at https://portal.components4developers.com.